Do any of you remember the scene from Mommy Dearest, where Joan Crawford throws a fit because she finds a wire hanger in her daughter’s closet? While I promise not to “have a cow” like Joan in the film, I do want to stress the importance of proper textile storage in museum collections. And, since this is Museum Minute, this will be short and sweet. Fun Fact: I put “archival” in quotations because there are no requirements in place to advertise something as “archival.” But, I continue to use the term because it’s an easy way to refer to the wide variety of materials that are sufficient for long-term artifact preservation. This is fun activity for volunteers or interns to do, and can really help preserve your hanging textiles. Why don’t you help out your local museum or historical society by hosting a Hanger Bee? Tags: Collections Storage, DIY, Preservation, Supplies, Textiles. Bookmark the permalink. Remember, if in a pinch, old 100% cotton sheets can suffice, if one wants people to donate. Not as great as unbleached muslin, but might save a few extra bucks. 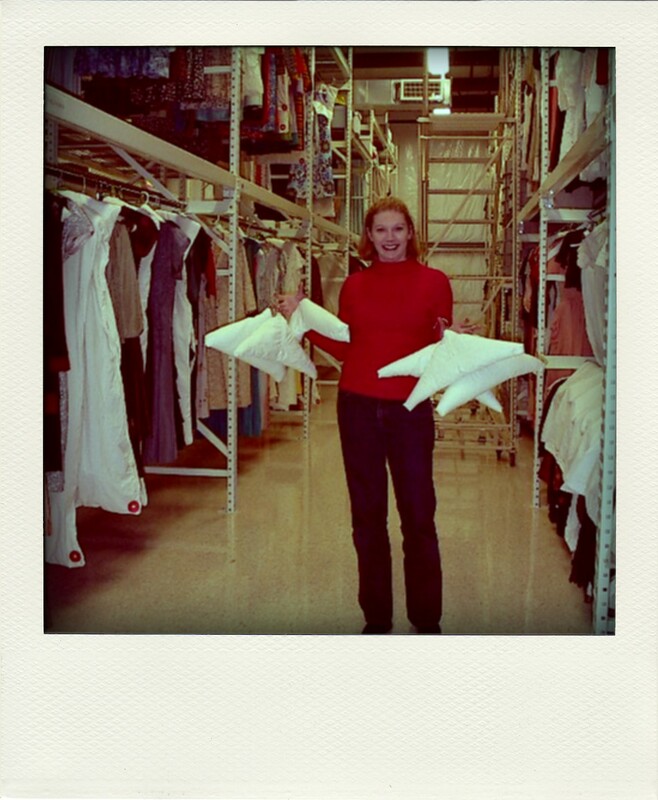 One of the first things I did as an intern at a local museum (I was in my first year of college) was to look up padded hanger designs and then make it for the hanging clothing collection. I wonder if any are still used after 20 years! Good suggestion. The great thing about the unbleached muslin is that it’s usually pretty affordable, considering the other supplies we purchase. I recently bought a couple yards for about $2/yard. There was a little left on the bolt, so they offered me the rest at half price. Ka-ching! So there’s a tip–seek out the bolts that are almost finished; you might just get a great deal.